Happy Day. 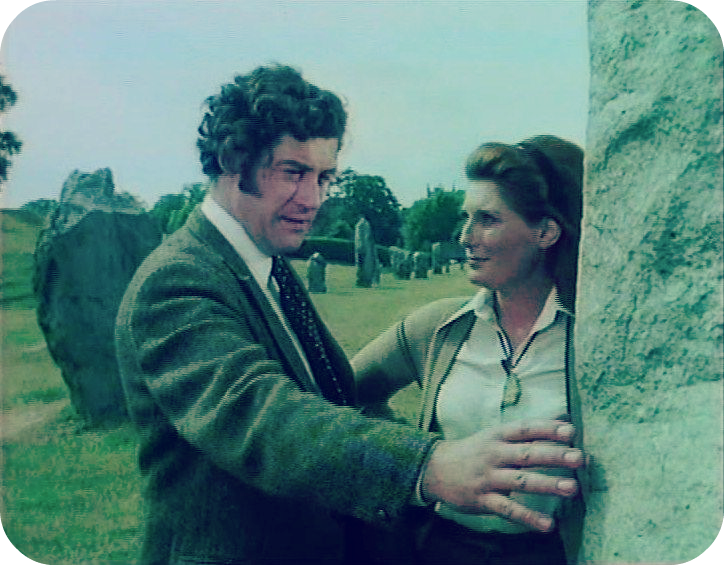 That's the standard greeting amongst the inhabitants of Milbury, the fictional village featured in HTV's 1970s masterpiece Children of the Stones. 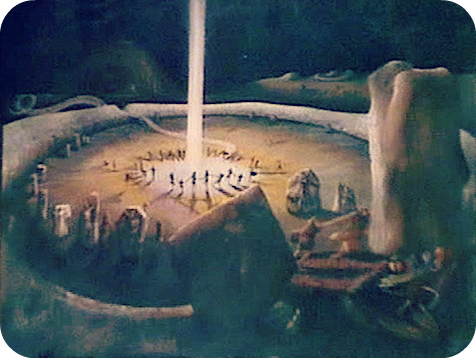 Deservedly described as 'the scariest programme ever made for children', Children of the Stones originally aired in the UK through Jan - Feb 1977. It has that eerie supernatural feel, distant folkloric survivals of The Wicker Man kind, juxtaposed with the cool logic and rationality of modern (okay, 1970s) science. Ancient history is set to repeat itself in Milbury, a village stuck in a time loop. Adam Brake is a physics professor, on leave to study the magnetic fields of the village's stone circle. He and his teenage son Matthew - a physicist in the making - quickly befriend fellow newcomer Sandra Smythe and her mother Margaret, the new curator of the local museum. It doesn't take long before Matthew starts to suspect something's up. All the longstanding residents of Milbury are simply too... happy. Token mad Welshman Dai warns him he's in danger, while famed astronomer and local lord of the manor, Hendrick, seems to know more than he's letting on. You can watch it on YouTube HERE. 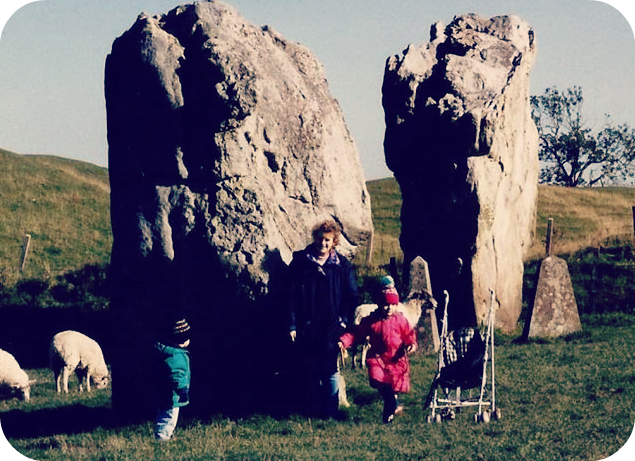 I was searching for films in The Wicker Man vein a few years back and heard about Children of the Stones, and after seeing it I couldn't recommend it highly enough. When we moved in to our current place I figured I must have lost the DVD somewhere, but it turns out that I had left it at my parents. This weekend I made A watch it for the first time and was enthralled all over again with the creepy Morris dancing, the mysterious 'Happy Ones', and the horrifying idea of people turned into standing stones. Perhaps not that recently, after all.